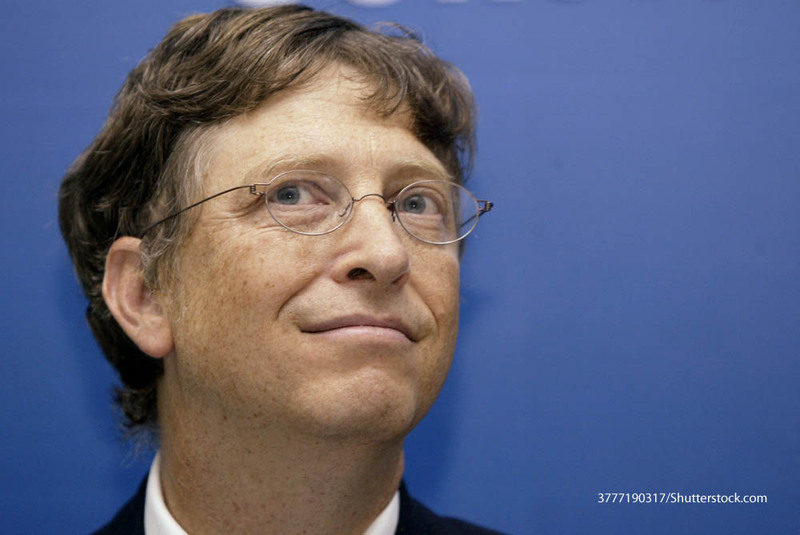 Bill Gates- "Business is going to change more in the next 10 years than it has in the last 50." As we look into the next century, leaders will be those who empower others. I actually thought that it would be a little confusing during the same period of your life to be in one meeting when you’re trying to make money, and then go to another meeting where you’re giving it away. We bet the company on Windows and we deserve to benefit. It was a risk that´´s paid off immensely. Capitalism is this wonderful thing that motivates people, it causes wonderful inventions to be done. But in this area of diseases of the world at large, it’s really let us down. Intel was a customer for our BASIC. They came out and asked us to do some custom work. I remember telling them that I could do it in two weeks. And they said, “Don’t say that, don’t say that — say four months — say something reasonable.” And it turned out that it took four weeks to do, because configuring their system was so hard. The frontiers were sort of wide open. It was that sense of excitement that we really wanted to spark in everybody else wherever we went. The vision is really about empowering workers, giving them all the information about what’s going on so they can do a lot more than they’ve done in the past. I regret being the richest man in the world because that position attracts undeserved publicity. I have 100 billion dollars… You realize I could spend 3 million dollars a day, every day, for the next 100 years? And that’s if I don’t make another dime. Tell you what-I’ll buy your right arm for a million dollars. I give you a million bucks, and I get to sever your arm right here. I do think this next century, hopefully, will be about a more global view. Where you don’t just think, yes my country is doing well, but you think about the world at large. The people who resist change will be confronted by the growing number of people who see that better ways…are available thanks to technology. My job is about the most fun thing I do, but I have a broad set of interests, going places, reading things, doing things. You’ve got to give great tools to small teams. Pick good people, use small teams, give them excellent tools…so that they are very productive in terms of what they are doing. Sometimes, I think my most important job as a CEO is to listen for bad news. If you don’t act on it, your people will eventually stop bringing bad news to your attention and that is the beginning of the end.